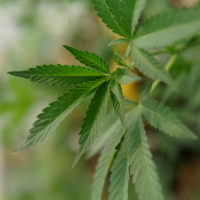 A group of Florida lawmakers remains undaunted on the topic of marijuana decriminalization, as they are refilling legislation to reduce penalties for personal use after it did not pass during the last legislative session in 2017. A January 5, 2018 article from Jacksonville, FL based First Coast News reported that the new bill would reclassify misdemeanor criminal possession of pot to be a noncriminal civil violation. The charge would be similar to a traffic ticket, so officials cannot make an arrest unless there are other circumstances to justify it. If passed, the law would only apply to possession amounts up to 20 grams of marijuana. Adult offenders would be required to pay a maximum fine of $100 or engage in up to 15 hours of community service. Juveniles under age 18 would be automatically ordered to community service or a drug awareness program. House Bill 1203 is a long way from being passed, and there will be additional time before it becomes effective. Therefore, it may be useful to review the current state of the law regarding marijuana drug crimes in Florida. Possession of Less than 20 Grams is a First Degree Misdemeanor: You face up to one year in jail and on probation, as well as a maximum fine of $1,000. Possession of 20 Grams or More is a Third Degree Felony: A judge may sentence you up to five years in prison, the same amount of probation, and up to $5,000 in fines. In addition, note that Florida law also includes administrative penalties for possession of marijuana. Your driver’s license is automatically revoked for one year if you are convicted. This sanction applies regardless of whether a there was any vehicle involved in the crime. You face a minimum of 15 years in prison, plus a $200,000 fine, for trafficking in amounts exceeding 10,000 pounds in weight or 10,000 plants. Proponents of House Bill 1203 say they hope the measure will be passed, so that fewer Floridians are subject to imprisonment for simple possession. However, until that time, the state’s laws on marijuana possession and trafficking apply. If you are facing any type of drug charges, please contact Fort Lauderdale, FL attorney Kevin J. Kulik for more information on your defense options.